Oratory and sermons had a fixed place in the religious and civic rituals of pre-modern Muslim societies and were indispensable for transmitting religious knowledge, legitimising or challenging rulers and inculcating the moral values associated with being part of the Muslim community. 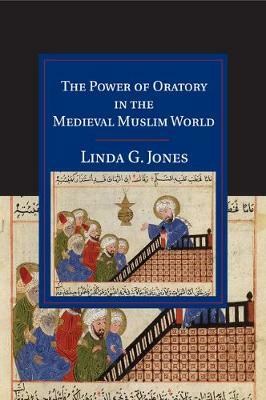 While there has been abundant scholarship on medieval Christian and Jewish preaching, Linda G. Jones's book is the first to consider the significance of the tradition of pulpit oratory in the medieval Islamic world. Traversing Iberia and North Africa from the twelfth to the fifteenth centuries, the book analyses the power of oratory, the ritual juridical and rhetorical features of pre-modern sermons and the social profiles of the preachers and orators who delivered them. The biographical and historical sources, which form the basis of this remarkable study, shed light on different regional practices and the juridical debates between individual preachers around correct performance.